Are you ready for springtime? I know I am. And my kids are too. They are tired of playing inside all day long, big bulky coats and wind nipping their noses. We all wish for warmer days and outside play time. But… it snowed most of the day, so I guess we’re going to have to find a different way to enjoy spring. I’ve got just the thing: Springtime Bingo! My kids’ favorite thing about bingo is that I let them use food as their place markers. It’s a game and a snack! My favorite thing about bingo is that it encourages cooperative play and it develops observation and matching skills and sportsmanship. Everyone loves Bingo, right!? 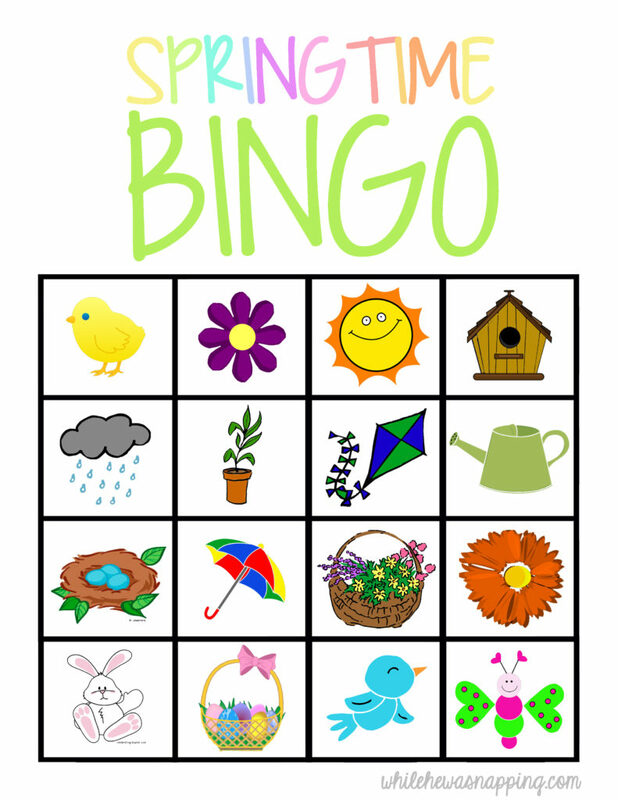 Springtime Bingo game printables. Click the link to get your own set of the game. A new window will open and you can download and save the PDF file of the game to your computer. You can then print it right at home. Download and print the three game boards and the draw cards from the link above. If you’ll have more than three players, print out extra boards as needed. Use the scissors to cut out the draw cards. Place them face down in a pile. 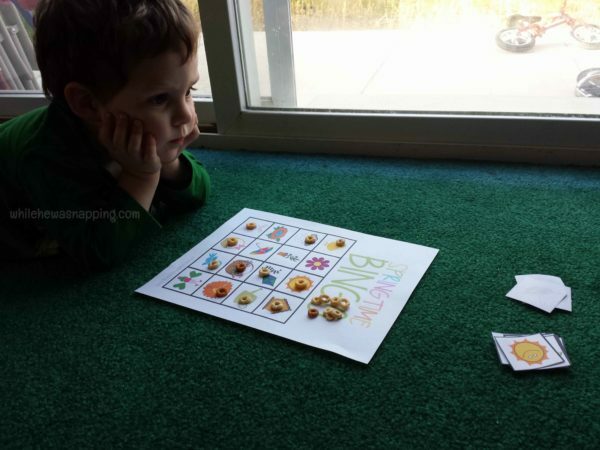 Distribute a Springtime Bingo board and 16 place markers to each player. We let the winner eat their winning place markers and then replace those that get eaten, but that’s totally optional. It keeps my ever-starving boys happy and engaged longer. So, until the weather starts warming, the trees start blooming and the snow melts this is probably the best springtime you’ll find. For now. This Springtime Bingo game first posted on Whatever Dee-Dee Wants in April 2015 as a guest post written by Krista.